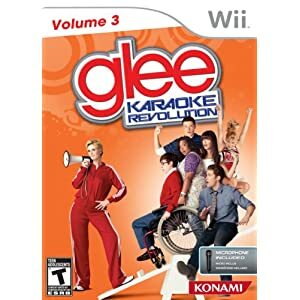 This karaoke game for Wii has 35 hit songs from the third season of Glee, which you can sing-along by yourself, or in multiplayer with up to six of your friends. Also comes with memorable scenes from the third season, and a host of other extras. has features such as high precision lyrics scoring that can detect humming and singing, pitch correction to make you sound even better among others; and it comes with 40 chart-topping hits. 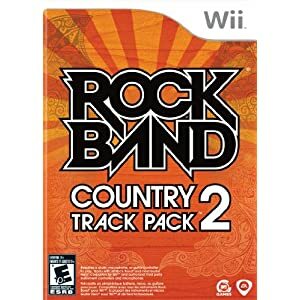 This is an extension pack for those who already own Electronics Arts’ popular Rock Band game, and a standalone product for the new owners. It features 21 hits, which can be played in different modes such as Solo and Band Tour Mode, Quickplay and Tug of War. 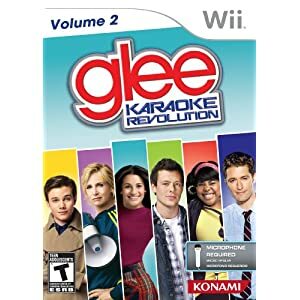 This Karaoke game for Wii comes not only with 20 songs from the season 1, it also has exclusive clips and montages with never-before-seen moments. Also allows 4 players to compete with each other in the shooting star mode. 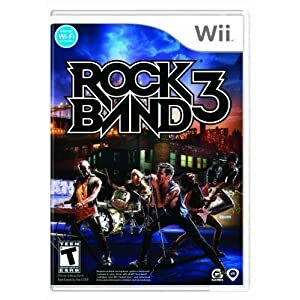 Learn to play different instruments with this popular video game for Wii, which comes with songs from 80 best bands from around the world. For casual gaming, the game has a party mode that allows you to play with friends too. This musical game from Activision has tracks from artists such as Lady Gaga, Deadmau5, Chemical Brothers, Rihanna, and Kayne West. 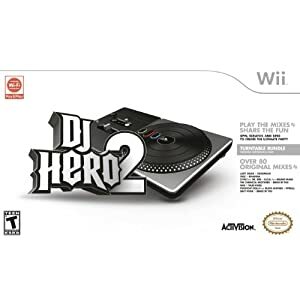 This is the sequel to the #1 new videogame of 2009, DJ Hero, and it is even more entertaining than the original. Learn how to sing from Disney Channel star Demi Lovato. Watch 30 top music videos from Disney Channel. And of course, you can also play this karaoke game in competitive mode with friends. 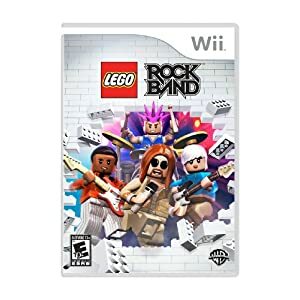 This game marries the popular Rock Band series of games with a LEGO theme, and does so in style. Play and compete to be the best rock band in the universe, even as you customize your in-game avatar with LEGO style. This game comes with its own controller, using which you can play over 90 tracks from such greats as Queen, Black Sabbath, KISS and more. 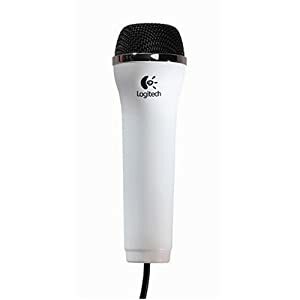 Start on a journey to superstardom, and become a Guitar Hero in the footsteps of rock legends. .
Use this USB microphone as you play your favorite karaoke games on Nintendo Wii. It comes with a 15 feet long cable, which ensures that you are always within reach of your console when you sing. This microphone stand allows you to adjust its height from 38 to 53 inches (97 to 135 cm). Built using aluminum, it comes with controller clips for Xbox 360, Wii, PS3 and PS2. 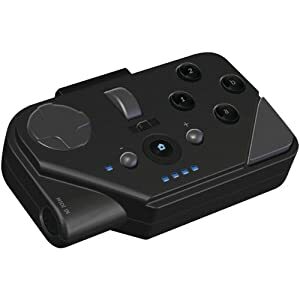 Give wings to your Rock Band fantasy, using this wireless guitar controller for Rock Band 3 game for Wii. It has a 17-fret touch sensitive neck, with 6 buttons that give 102 active finger positions. This controller can be used as a MIDI Guitar controller when not playing Rock Band. 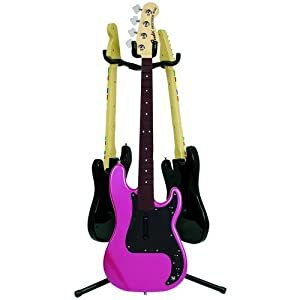 If you have more than one guitar controllers for your guitar games, this stand can come in handy for you. It can hold up to 3 Rock Band guitars or basses, and is height-adjustable from 25-39 inches (64-99 cm). Play Rock Band with this cymbals kit that comes with Crash, Ride and Hi-Hat cymbals. It is compatible with Nintendo Wii, PlayStation 3 and Xbox 360; and is height adjustable with a 10 degree strike angle. 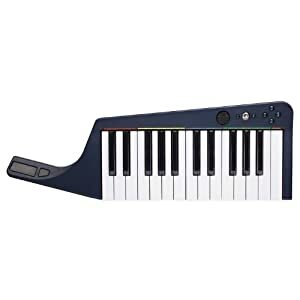 This wireless keyboard from Mad Catz comes with 25 velocity sensitive keys, and allows you to play Rock Band 3 in keyboard, guitar and bass modes. When not used as a gaming keyboard, it can also be used as a MIDI keyboard controller. 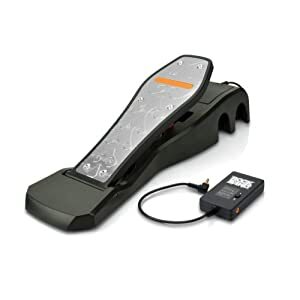 This is the official and original licensed replacement kick pedal for Rock Band 2, as well as Rock Band. It can be used with PlayStation, PlayStation 2, PlayStation 3, Xbox, Nintendo Wii and Xbox 360. This wireless guitar for Nintendo Wii is fully compatible with Rock Band and Guitar Hero games on that console. It effortlessly connects with and holds the Wii Remote, and because it is powered by the Remote itself, it does not need any batteries. This device is a link between the traditional MIDI instruments and the videogame consoles used to play games like Rock Band 3. Now connect your MIDI compatible keyboards, drums and guitars with your consoles using this adapter developed by Harmonix Music Systems. It has been the dream of many people both young and old is to be a rock star, songwriter, singer, or dancer. Gamers are no exception in this, and games like those that can be played on the Wii Gaming System are making it possible. Over the years these music games have captured the attention and imagination of thousands of gamers. More and more games hit the market each year featuring some aspect of making music using the latest in video game technology to make the experience as real as possible for gamers, but can it be real enough without the accessories that go along with it? With games like Dance Dance Revolution, Just Dance, and Dancing with the Stars, it’s not surprising that there dance pads and mats would hit the market soon after the games or with the games themselves as a bundle. Not all of these pads and mats are created equal, and some are better than others in terms of what they can handle. Even a lot of non-gamers enjoy karaoke, and what better way is there to bring together friends and family than with a night of singing together? Players don’t have to be able to sing like a star or even be able to carry a tune to enjoy these games. 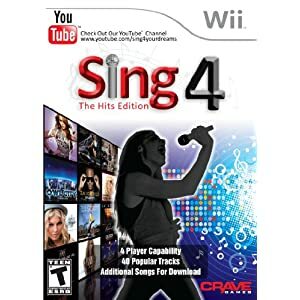 Games like Karaoke Revolution and Disney Sing It allow players to sing their favorite pop hits and enjoy a fun time with friends and family. It’s only natural that games like this would need microphones to play them, and while some games come with a microphone, others may not. Luckily, players have a choice when it comes to a microphone accessory to meet their gaming needs. 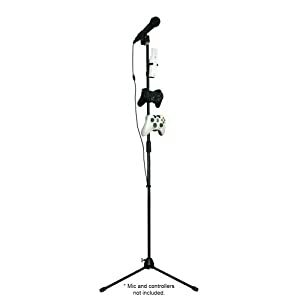 One such choice is the Wii SingSong Duet Pro Microphone that features accurate voice reproduction and allows players to hear their voice with perfect clarity even if they can’t carry a tune. For anyone that ever wanted to be a rock star there are games like the popular Guitar Hero. The game has seen a number of expansions as well as sequels over the years, and it centers around players playing some of their favorite songs on an electric guitar or axe. 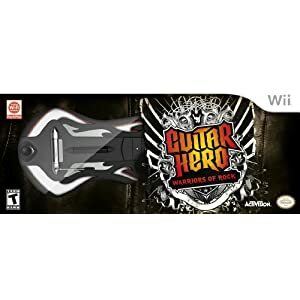 The popularity of the Guitar Hero games has brought about the release of a number of guitar accessories that players can use in their attempt to rise to the top and become a Guitar Hero. Guitar Hero isn’t the only game on the market that allows players to live their rock and roll dreams. Games like Band Hero and Rock Band take the rock gaming experience to a whole new level. Friends and family can come together to take the stage and form their own gaming bands. 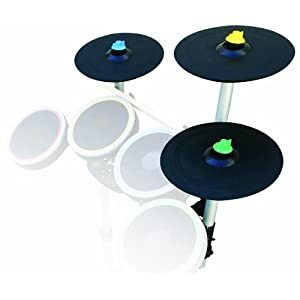 To make this possible and give players the most from their gaming experience as a band, drum accessories have been released that allow players to play and sing together. Friends and family can set up for a full band experience or just play solo. 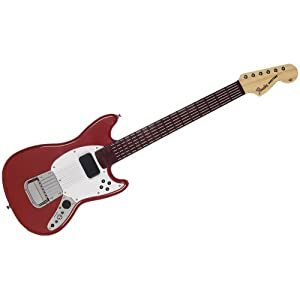 The guitar accessories for the Wii make use of the remote’s wireless technology by plugging the remote into the axe and playing, but the drums do not. Using its own remote transmitter, the drum set communicates with the Wii in much the same way as the remote except that a receiver needs to be plugged into one of the Wii’s USB ports to communicate, which is included with the drums. The drums are made up of four durable strike pads to simulate drumming, and there are even accessories for this accessory. Drum Pad Silencers allow drummers to play quietly into late night without bothering anyone else, and they also protect the pads from the wear and tear of long use. The silencers are relatively cheap which makes replacing them easier than replacing the drum accessory. 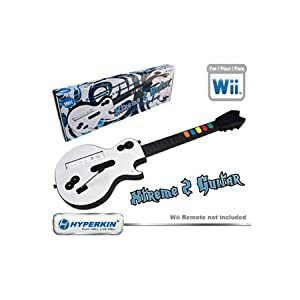 Whether it’s playing solo on the guitar or drums or throwing them both together with a microphone, Wii music gaming couldn’t be more fun. Gathering friends and family for a fun rock game experience is sure to be memorable with all the accessories available to make the rock and roll experience a great one. When it comes to singing and dancing without a care in the world, no one has more fun doing it than kids. Older kids and adults aren’t the only ones that can have fun with all the many accessories available for music games, and some games have been released with these kids in mind. LEGO has gotten in on the music gaming craze with its own version of Rock Band, LEGO Rock Band. Kids of all ages can enjoy the same thrill of playing in a rock band with family friendly songs and do it LEGO style. The familiar LEGO avatars allow kids to customize their band and play using many of the same accessories used with other music games. LEGO Rock Band isn’t the only game that keeps a child’s love of music in mind. 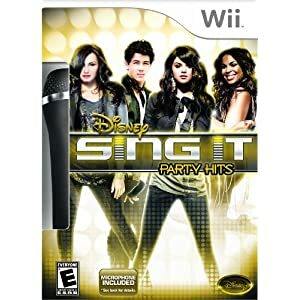 Other games like Disney Sing It let kids sing their favorite songs from their favorite Disney stars. Kids can even play games like Wii Music on the plastic shell instruments released by Nintendo. It doesn’t matter what type of music a player enjoys or how they enjoy it when it comes to music gaming. There is something out there for everyone and an accessory that lets them feel like they are a part of the game. Make some music with family today.